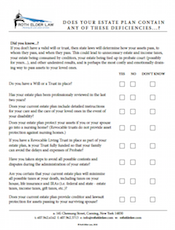 Over the years, one issue that has seemed to lead to more problems than others is out of date estate plans. Click this link to download this free resource which rates your estate plan to see if your plan is out of date or is missing parts. 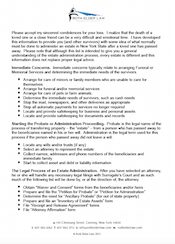 Selecting a firm to help with your estate plan and legal needs can be hard. 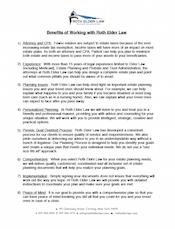 We created this list of services you will get if you work with Roth Elder Law for your estate planning needs. Click this link to get your free copy. The more organized your affairs, the easier things will be for your loved ones after you have passed. 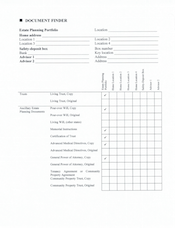 Click this link to download our free resource; the estate planning organizer. 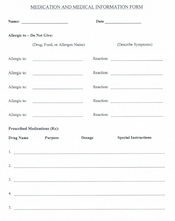 Fill this form out to help ease the change for your loved ones. Today people have more and more things online and in the cloud. If you don’t have your accounts written down, your loved ones could have trouble accessing your data. Click this link to download this free resource to help out your loved ones after you have passed. 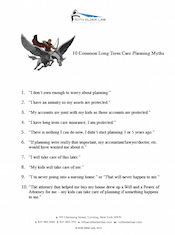 Long term care costs are one of the biggest threats to most people’s savings. 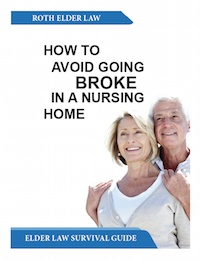 Click this link to download our free resource book “How to Avoid Going Broke in a Nursing Home” to learn how to plan ahead so you don’t lose all your assets to a nursing home. With this free resource, you can help your loved ones ahead of time. Having all of your medical facts in one place, makes everything easier later. Click this link for your free copy. taxable estates. 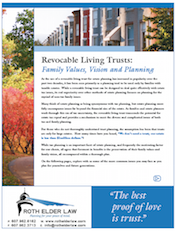 Click this link to download this free resource to learn more about Revocable Living Trusts and their benefits. Sadly there is a lot of false information out there about Medicaid and Long Term Care. Click this link to download our list of common myths that may sound good but could cause more trouble than good if you don’t know the truth behind them. When someone passes away, there is more to be done than most people realize. 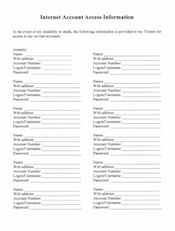 To get an overview of what needs to be done when a loved one passes away, click this link for a free copy of this free resource. Our in depth article deals with providing for pets upon your death, how to fund pet trusts, terms you may want to consider and identification. To get your full copy, just click this link and follow the instructions on the form to receive this free resource. While it’s difficult enough to think about not being there to raise your children, imagine a court choosing their guardian with no input from you. To learn how to choose your own guardian for your children, click this link and follow the instructions for your free resource. If you enjoyed these free resources, feel free to share them with your loved ones. You may also connect with us online. We are on Facebook and Twitter.